A 100-year flood means a flood of a given magnitude that has a 1% chance of happening once in any given year and a 100% chance of happening at least once in the next 100 years. What events are the equivalent to this geological phenomenon? 100 Year Flood in 500 Words explores the unlikely yet inevitable moments that redefine our flood zones. 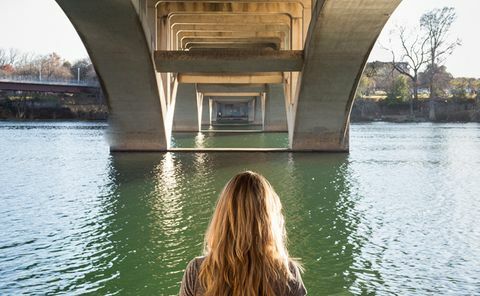 A handful of Austin writers including Sarah Saltwick, Tyler Gobble, Diana Lynn Small, Joe Hoppe, Brenner, Kathy Catmull, Elizabeth Doss and Amparo Garcia-Crow will offer their take on the 100-year flood from an unforgettable vantage on Lady Bird Lake. Photographer Leon Alesi will create portraits of the writers. During the Fusebox Festival, audiences can visit the site and download the pieces to experience them in their natural habitat. For more information, visit the Fusebox Festival site. A traditional reading turned inside out? A progressive party? A whirlwind tour of the messiest desks in town? Make your own adventure by spending an afternoon visiting the homes of several unique and provocative Austin writers. Enjoy refreshments and talks, participate in readings and conversations, or get pressed into doing chores and steal from the medicine cabinet. 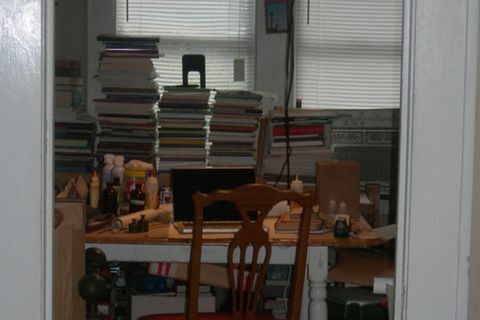 Part investigation into the writer’s singular relationship with space, part strangely invigorating playdate, The Writer’s Room: A Home Studio Tour is a chance to visit the writing life and the physical places where it thrives. ROAD SHOW is a worded tour of Austin during which writers emerge for an afternoon to inscribe their fictions on four stops. These may be places you have overlooked on your morning com- mute. On those tennis courts you pass on each day, two players serenade one another with banjos. Is that a statue mime in your periphery or an overgrown gnome recounting a fairytale? You may have never noticed that parking garage but what if it’s a portal to a sea of skyscrapers? Have long have you lived in Austin? Dare to learn your city’s secrets. You have two hours. We’ll waive your fare. The Road Show ends where it begins.